It’s a little weird that American’s celebrate Saint Patrick’s Day the way we do. I mean, Irish immigrants = St. Patrick’s Day and Chinese immigrants = Chinese New Year, I get that. But still…just looking at Wikipedia…he brought Christianity to Ireland, so I guess I get the green. He used the shamrock (a typically three-leafed plant) “to illustrate the Christian teaching of three persons in one God”. Really that only makes it hilarious that we all tend to use a four-leaf clover instead because it’s “lucky”. Then he supposedly banished all snakes from Ireland which is why there are none on the island. But the hat*? Meanwhile, Saint Patrick’s Day is believed to be the day he died, but what he died of I don’t know. That may be the inspiration for next year’s Saint Patty’s Day nail art because I am a horrible person. That or beer. Speaking of beer, I did a search for “beer” on the Wikipedia page about Saint Patrick and there were zero results. That hurt my heart and I don’t even like beer. Maybe I should have done a search on whiskey. Omg good point about hats!! Hahah. Cute mani! 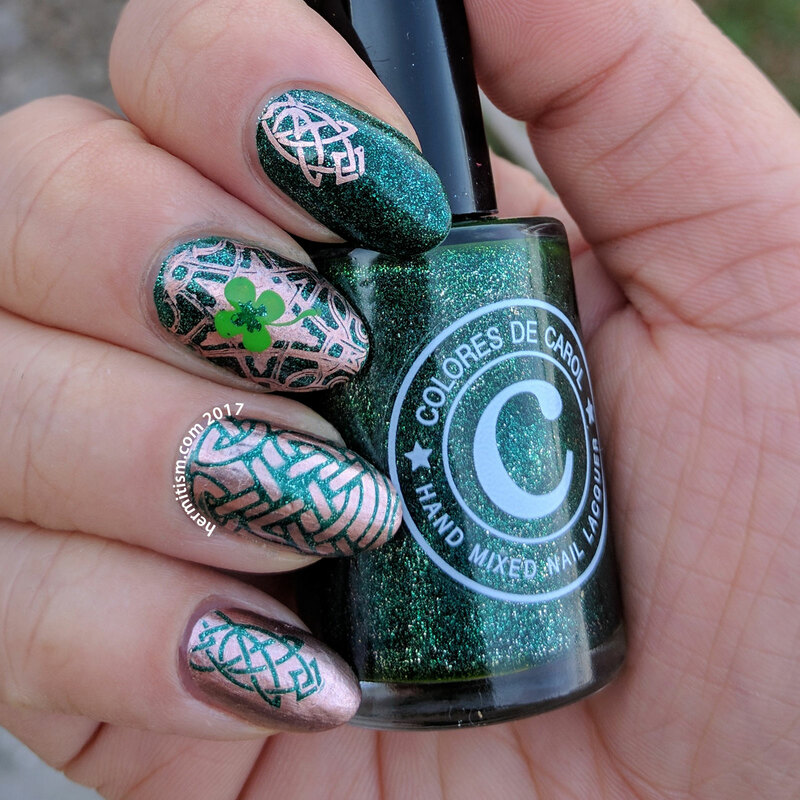 I love all the rich colors on this, and the little clover and snake are a fun touch. 🙂 Hats and holidays… I mean, I don’t see people ever actually wearing the holiday hats, just decorating things with the images of festive hats. But maybe actually wearing the hats will come back into favor some day! 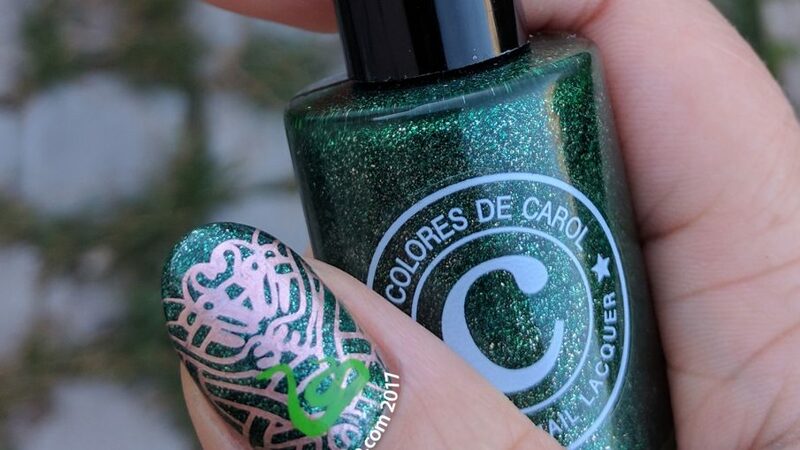 I love the metallic stamping!